Josh is a pretty big kid and I think it might be because he can down a couple of gallons of milk all by himself in less than a week. His poor mom spends a lot of money on milk when he was living at home. 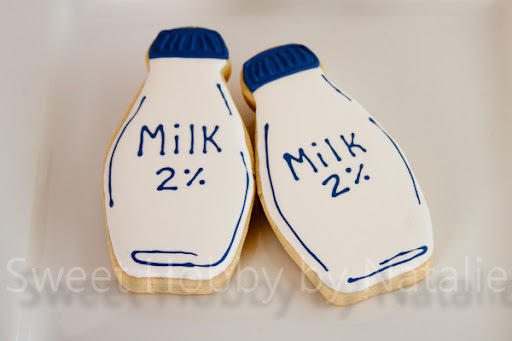 So I had to do some milk cookies! 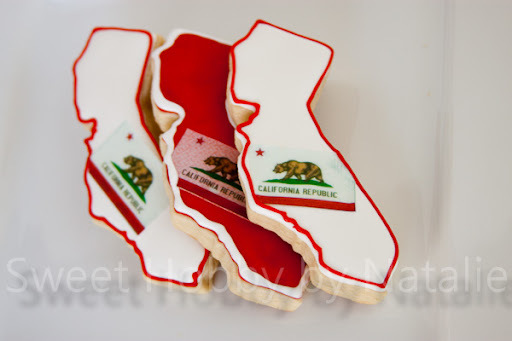 And of course since he is serving in California right now I did some state of California cookies. 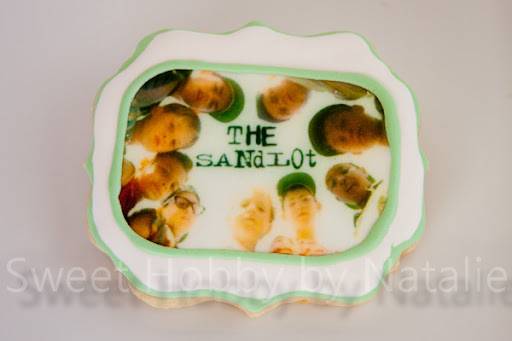 My memory of Josh is why I did the next cookie. My sister and her family live in the same town as my parents, and every Sunday those that are in Kanab also go to my parents for Sunday dinner. Seriously, it is the best day of the week. We get to enjoy each other's company and my mother's home cooking. Well while I was living at home probably during a summer break from college, I remember every Sunday the Barton clan would arrive and Josh would come running in and first thing he would do was stick in a video tape into the VCR and watch a movie. That movie was "The Sandlot". This is a great movie and if you have not seen it or your kids have not seen it you should rent it or Netflix it. It is a cute funny show and it was also filmed in my home state Utah. So many great quotes from this show. "The kid is an L7 weenie!" or my favorite "This pop isn't workin', Benny! I'm bakin' like a toasted cheese-it! It's so hot here!" 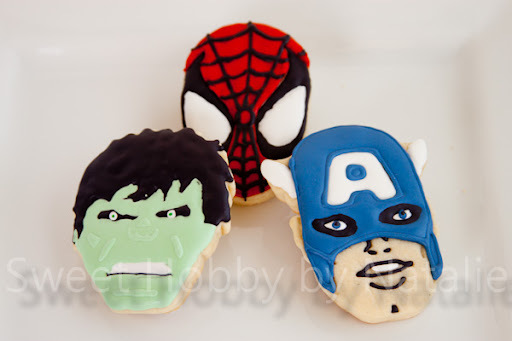 And of course some Super Heroes! 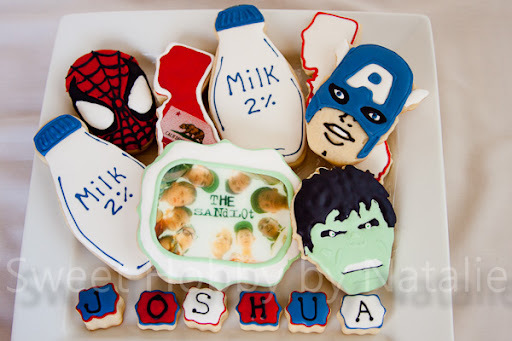 Josh loves all superheroes. I couldn't go wrong in which ones to do because he supposedly loves them all! I recently got the Williams Sonoma Hero set so I tried out these three guys.